Chatterbox Review: WWE Wrestlefest for ipad, iphone, and ipod touch. Hey there! It’s your friendly neighborhood Chatterbox here with a review of THQ’s WWE Wrestlefest app for ipad, iphone, and ipod touch! To provide a little backstory on this, I used to play WWF Wrestlefest back in the early 90’s on the arcade consoles. It was one of the greatest arcade games I had ever played. Granted, I was probably 6 or 7 at the time, but still. In the original it was complete chaos in the ring. You had stars such as Hulk Hogan, Ultimate Warrior, Mr. Perfect, Sgt. Slaughter, Road Warriors (LOD), and “Million Dollar Man” Ted Dibiase. Each character had their own specific signature moves and there was a singles Royal Rumble match or Saturday Night’s Main Event Tag Team Tournament (The only way to play against the Road Warriors in the final showdown). WWE Slamfest offers pretty much the same style concept as the original version did back in the 90s. This time though, they’ve added a Gauntlet Match and Road to Wrestlemania modes where you work your way up through the various titles within the WWE. The cast of characters is pretty deep as well. It gives you 8 characters to start out with (Randy Orton, John Cena, Undertaker, Rey Mysterio, Macho Man, Stone Cold Steve Austin, The Rock, and Jake “The Snake” Roberts) and you are able to purchase an additional pack of characters (CM Punk, Triple H, Shawn Michaels, Sheamus, and Big Bossman along with the classic Survivor Series ring). The gameplay is just as I had anticipated it to be which was fun and a great addition to my travel games. I find it is much easier to navigate on the ipad rather than the ipod touch due to the fact that it’s bigger… but that was minor. I was a tad disappointed with the Road to Wrestlemania mode only in that it felt anti-climatic to get to the WWE Championship match at Wrestlemania only to walk out to the ring with the generic “house-show” looking backdrop (No special Wrestlemania Entrance) to do battle with… Jake “The Snake” Roberts. A pretty decent-sized facepalm for me on this one. I had in the back of my head it would be a special encounter with an opponent that I hadn’t beaten 4 times throughout the RTWM challenge. Throwing in a big bout with Andre the Giant, Big Show, Chris Jericho, or even The Ultimate Warrior would have made it a 10 of 10 for me. I love surprises! Even after you win the main event at Wrestlemania, it simply plays the credits. No fireworks, no special title winning image, no glimpse of the belt on your character, nothing! So in that, I was a little disappointed but still had fun playing. I did like that they make you actually compete in and WIN the Royal Rumble match to advance to the next event. It made perfect sense to me. Are you serious, bro? 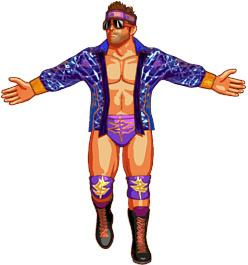 Also on twitter, @WWEGames posted a photo to Zack Ryder’s attention showcasing a future game add-on of his very own playable character which only makes since, seeing how he is one of the more popular faces on today’s programming. Since they will be doing more add-ons to this, I would love to see Andre the Giant, Big Show, Chris Jericho, Ultimate Warrior, Road Warriors, Kane, and maybe another classic like Dusty Rhodes, Yokozuna, or even Goldust (what can I say, I love the gimmick characters). I know that for $.99 to download the packs of wrestlers, I’ll be sure to keep my roster up to date with the latest releases and I hope that there are many. I’m also hoping that THQ reads this and updates the Road To Wrestlemania game mode where you have a special “Boss Match” against an opponent that maybe you have to pin or submit to unlock in the game (Andre, Big Show, Mark Henry, or Yokozuna). I’m not sure how things like that work in the app development world, but it’s just a thought. All in all, this has been the absolute BEST app game I have downloaded to date! I give it 9 out of 10! Keep up the good work THQ! Where can I get an easy, FREE video editing software download? I’ve been searching the net and even some for sale are getting terrible reviews. Basically, I’m looking to create videos on my youtube account as a hobby and don’t want to break the bank in software fees. I have a Flip Video Ultra HD 8GB and am looking for something to edit videos quickly and that also look esthetically pleasing (we’re not talking Avatar imagery, here). First and foremost, I would like to point out that I have just recently gotten back into watching wrestling since roughly around last year when it was announced that The Rock was back for 2011’s Wrestlemania event. I had been checking in to see what he was doing on the shows and have been tuning in pretty much since. Why is it that CM Punk is really the only person who has called him out on it? Even after 3 years or so, people were clapping and cheering him on at the Grammy awards like nothing ever happened. The common defense for Brown is that “he made a mistake and it happened 3 years ago”. Uh? A mistake? Losing your temper and hitting Rihanna maybe once could possibly be played off as a mistake, but repeatedly punching her in the face, arms, legs, biting her, and trying to choke her unconscious is hardly a mistake. The length of time that has passed since the incident is irrelevant, period! So people think that 3 years is enough time for savagely beating a female to just go away? The picture is still online of Rihanna’s face that looked like she went 5 rounds with a UFC champion. And so what if Rihanna has reconciled with Chris Brown. The fact of the matter is that women get beaten like this all over the world! Not just Rihanna. Some don’t even live to have the opportunity to decide wether they want to forgive and forget the incident. In closing, I have found a greater respect for CM Punk as well as the WWE for not squashing this twitter war. Somebody of some kind of notoriety needed to openly call out Chris Brown on his actions and I’m glad that it has taken place. Great video reply by CM Punk. His thing on WWE television is that he is the Voice of the Voiceless and this proves it! NOTE: This is most likely the only time I will write about CHRIS BROWN on The Chatterbox Blog… unless he decides to man up for a CM Punk fight! So in the news recently, there have been alot of talking about potentially banning cell phones and possibly even all electronics inside vehicles. Is everybody really okay with this? Personally, I am a driver who texts(gasp!). I understand that in trying to ban cell phones in cars is only a way for us to try and keep people safe on the roads. I get that, really I do. My argument against a cell phone ban is that people have been getting in car accidents long before cell phones were available for just anybody to have. I can assure anybody reading this that if it’s not a cell phone distracting somebody behind the wheel, it’s going to be a billboard, fast food, putting on makeup, or even reading a newspaper. The people that are causing accidents are still going to cause accidents. What is prompting me to write this little post is the amount a clever little bumper stickers that I’ve been seeing recently and quite frankly, it’s aggravating. On my route this morning I read one that says “OMG Plz dnt txt n drv. K? Thx byee.” to which I pulled up beside them as I was texting (or at least faking it) and smiling. If this is such a serious issue for you, then why make light of it with a silly little gimmick sticker? I’ve counted 5 other stickers on the back of vehicles this week. For me, I am all for the electronics. I feel that they can be a distraction to a driver, but there are other things as well that can be a distraction that these people wouldn’t take too kindly to have to give up. 1) Fast Food – Last winter at a stoplight, I witnessed a pretty nasty accident that probably cost a city worker his job because of some lady with BOTH of her hands off her wheel, looking down at her shirt while holding a sandwich. She obviously slopped on herself and was looking to see where it went. What happened was she went left of center towards a plow truck who tried to get over and hit a car in the lane next to him. Let’s get a petition going to put a ban on fast food drive thru windows, please! 2) It might have been last year or the year before, my hometown of Mansfield, Ohio had just started getting the scoreboard-esque billboards where they lit up and the picture changed every 30 seconds. The first accident that happened out near that billboard, somebody tried to have it taken down because it distracted her. As a community service, we’ll keep her in Ohio and have her stay away from the driving scene in Las Vegas. All in favor of banning billboards with stuff to read on them, say I? 3) Putting on makeup in a car completely baffles me. I’ve witnessed people creeping down the road heading off road where you can see them in front of your car looking in their rear view mirror to apply their make-up for the day. Cell phones are really more distracting than this? A ban on make-up in the car is what this country needs! I guess what I’m trying to convey is that cell phones are not the cause of all these accidents… it’s the people! However, people these days have this sense of entitlement to where they feel like they know what is best for everybody and they will force it upon you at any given moment. To take things to the next level, these people are now proposing that ALL electronics should be banned in vehicles. If there were ever a time for a *facepalm, this would be a time. Not only would you not have a cell phone readily available to call in the case of an emergency, but you would no longer be allowed to use a gps, an ipod, or even a portable dvd player for your kids! Where does it all end? I literally have NIGHTMARES about how our society is going to end up like the movie Idiocracy. In closing, please share an honest comment with me regarding this matter. Help me understand what good can really come from banning electronics (or just cell phones) in vehicles. DO NOT send me a link with various car accident pictures unless you can prove to me they were texting at the time of impact. Be sure to click the ‘Follow’ button if you’re a WordPress user, ‘Follow’ me on twitter @Chatterbox4REAL, and subscribe to me on youtube at www.youtube.com/ChatterboxBrad! Thanks for checking this out! 1) Coming very soon, I’ll be doing Youtube videos! That’s right! Youtube videos! You can pre-subscribe before my first posts by going to www.youtube.com/ChatterboxBrad and clicking ‘subscribe’. I’ve recently got a workspace set up in my house to where I can now do some airbrush work and I would like to post some videos online and hopefully get some offers on my work. Contrary to what Jessie J would say “It’s all about the uh cha-ching cha-ching and all about the yeah, ba-bling ba-bling” lol kidding, but I may auction some off for various projects and fund-raisers. I’m actually working on a Jessie J pic to airbrush as of this time! Cool! Also in the works are some Joker, Harley Quinn, Captain America, Lady Gaga, and more! Aside from airbrushing, I’ll have some other things too… I just have to see how things go. 2) Kikzengiggles.com is live! and running… somewhat! I’ve purchased my website and have started posting various items at Kikzengiggles.com… just it seems as though news is slow at the moment. Along with that, I’m not sure how to edit a wordpress account at the time, so things look a little messy. Does anybody know how and want to help? As far as news goes, with Toyfair taking place this past weekend,I’ll be posting some items in the near future. Stay tuned! There are alot of other little things going on right now that are keeping me busy. My daughter, Zoe is 4 years old today! My wife and I are throwing her a “Tangled” theme birthday party this weekend and we’re both making cakes to serve our large family. My wife (Amber) is making a Rapunzel doll/dress cake and I am making the Rapunzel tower. As I’m doing it, I may just have to make some videos to share my fun and frustration (NOTE: I’m not a cake baker/decorator/etc. I’m artistic and willing to do most anything for my daughter). I’ll be sure to post the results here. We’re still storing away money for our trip to Disneyland this October. I don’t even think my daughter knows how awesome it’ll be for her. Currently what we’ve been doing is saving change and loose dollars left over at the end of each week, but as the better weather comes, we plan on doing some garage sales, etc. to further build up some cash. From there comes planning! I’ll also be customizing some toys and putting videos on my youtube cannel. I plan on doing anything and everything from action figures, to Barbie dolls, to full sculpting and painting! I’m sure there are other things I’ve got going on, but I’m forgetting things at the moment. Be sure to ‘follow me’ here and on twitter @Chatterbox4REAL and ‘subscribe’ to my youtube channel by going to www.youtube.com/chatterboxbrad and clicking the subscribe button. Thanks for reading and see ya soon! Happy Valentine’s Day everybody! I hope you’re having a fun-filled day with your significant other or a group of close friends… and a POSITIVE one at that! This morning, I happened to log in to my facebook account to wish a childhood friend Happy Birthday (since they share a birthday with the romantic holiday and I seem to remember it almost every year) and my newsfeed was loaded with status upon status upon status bashing this “made up holiday”. Good grief… I think with all the negativity these people are spewing, there is probably a reason why they are bitter on Valentine’s Day. This seems to be a trend with things lately and it bothers me. I read everything from Valentine’s Day being a made-up holiday to sell greeting cards and candies to its a stupid holiday that’s only good for holiday hook-ups. I’m seriously questioning the character of my facebook friends… seriously! Personally, I plan to spend a nice quiet evening with my lovely ladies at home. Nothing flashy or over-priced here, just dinner, bath for my soon to be 4-year-old daughter, painting her finger and toenails, and maybe a couple of movies snuggling on the couch (I believe it will be Mr. Popper’s Penguins and Lady and the Tramp). Then if Zoe cooperates, I’ll probably be catching the latest Twilight movie with my wife. As dull as it may sound, this is the ideal Valentine’s evening for me (maybe hold off on the Twilight lol). Let me also not forget that it is our trash night, so taking out garbage is on the list. Maybe I’ll line the driveway with candles and put some Kenny G on my ipod… just maybe. 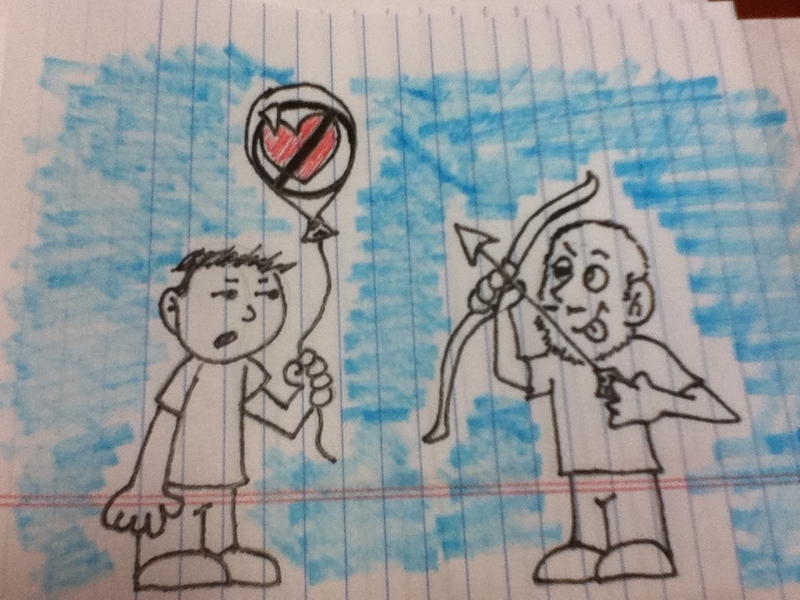 Ultimately, this post is just an excuse to share my lunchtime doodle with everybody. Enjoy! 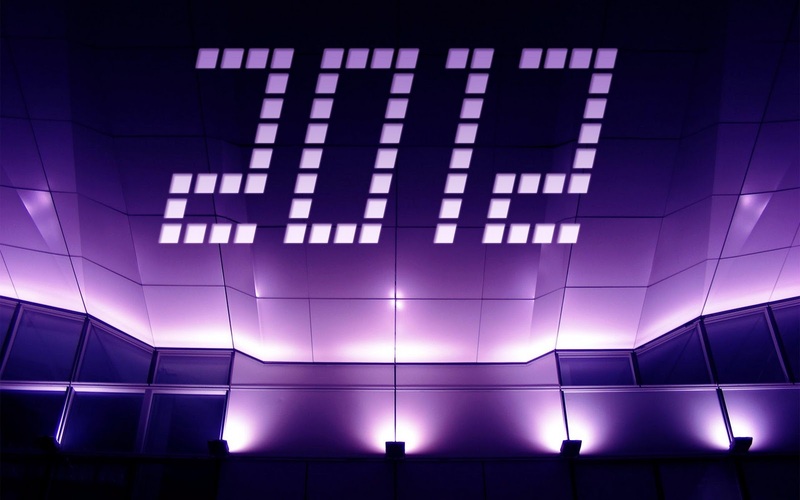 Happy 2012 everybody! It’s good to be back after a decent sized layoff from Chatterbox Blogging. I look to be getting back into the full swing of things in the near future, but I want to share my joy from the end of 2011 and my big plans for 2012! Christmas was amazing (as expected). My daughter had such a big day and unwrapped so many new toys for Daddy to play with. My family added to my A Christmas Story village, and I got the most precious ornament ever (I’ll update with a video soon). It’s a plastic Christmas Tree ornament and when I pushed the little button on the back, there was a little voice that plays and it says “Merry Christmas, Daddy!”… it was my girl’s little voice. How precious! 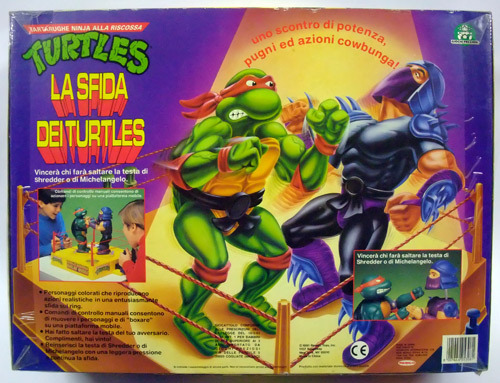 Remember how I said the Ninja Turtles Dueling Dudes was my best Christmas gift ever? Yeah, it’s been replaced. Best… Christmas… Ever! In closing, 2011 brought many new things my way. I got in a full first year at my new job with Mid-Ohio Sports Car Course, I replaced my DSLR camera that was stolen this past summer, Zoe is finally 100% accident free potty trained, and we bought Family Season Passes to the Columbus Zoo which turned out to be a GREAT investment. We have gone many times to the Columbus Zoo and each time, Zoe has been dying to see a Giraffe. There are no Giraffes at the Columbus Zoo. This year, we’re planning on taking her to either Cleveland Metroparks Zoo, or the Wilds so she can have an encounter with some Giraffes (her favorite animal). That is the first goal of the year. In 2011, I ate waaaayyyy too much fast food and had waaaayyyy too many sugary sodas to drink. This year so far, I’ve had none and plan to keep it that way. This is not a resolution that I want to lose weight and fit into size 30 jeans. This is simply a goal for living a healthier life and getting some good old-fashioned energy back! Exercising may be in the future, but I’ve been feeling pretty great with changing some eating habits. 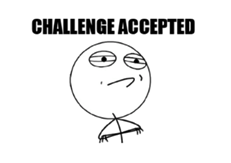 So again, I’m not making this a resolution to “lose weight”, but more of a goal to live a healthier life. “May the force be with you!” Oh wait! Thats YODA. Yoga has been something that has interested me for the longest time. Not so much for the tight sweatpants and tiny mats, but from my understanding, Yoga helps with every day aches and pains. At 27 years of age, I have more of an irritating back ache, my ankle gets sore from time to time (depending on the weather), and every so often I get headaches from a soreness in my neck. I don’t believe this is how a 27 year old should feel, so I’m looking to change that this year as well. If anybody knows any good DVDs to get started with, please share! I feel it is time to take little miss Zoe to Disneyland. We’re planning and saving for this trip so that we can go in October this year. If it was a simple trip to say we went, it would be no problem, but my goal is to save up enough for a loaded trip full of character visits, overloading on merchandise, and going and seeing some nice things in the area. This will take some time to save for, but we’re super excited and the anticipation is already building for Mommy and I. So that pretty much wraps up our plans for 2012! If this year turns out to be our last year on the planet, then we’re going out with a party! Please leave a comment below. I’m excited to hear your plans for the year! Be sure to follow me on twitter @Chatterbox4REAL and @Kikzengiggles and check out Kikzengiggles.com! Extraordinary Merry Christmas part 4: Gifts From The Grinch! Welcome back! Today on The Chatterbox Blog, I want to share a tradition that my wife and I started in our family… the tradition of gifts from The Grinch! Now first and foremost, this only works if you have people in your family who can take a joke well. If not, then you run the risk of causing a big fight on Christmas and what fun is that? The beauty of Grinch Gifts is the fact that you can be Naughty or Nice or Both. Included with the gift, we usually write a rhyming paragraph explaining what and/or why they are getting this specific gift from old Grinchy Claus! Below are some examples and ideas for you to use. 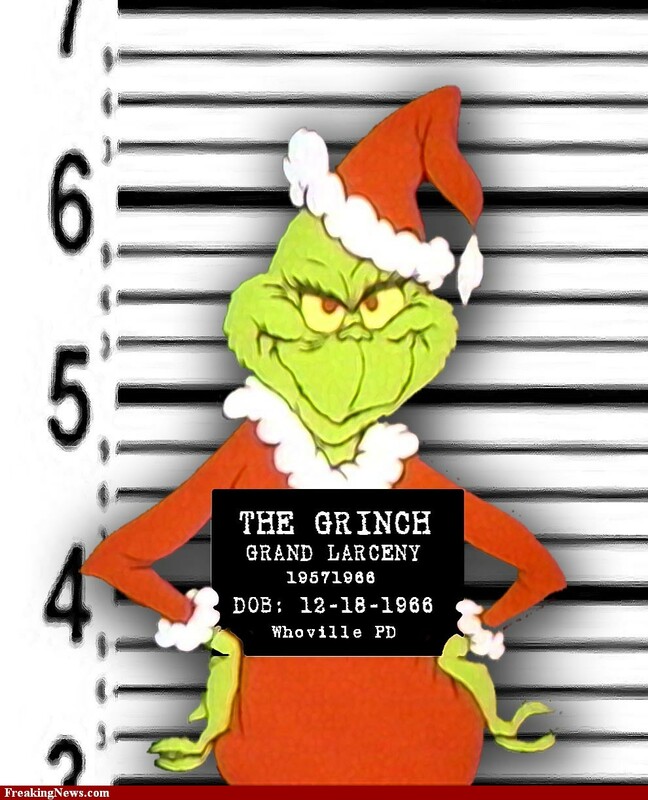 It’s always fun to pick on somebody saying that they have smelly feet… it’s just kind of a Grinchy thing to do. Kids and Adults always need new socks and underwear. It’s a necessity, so why not make it fun for them to open? Actually, my daughter is getting underwear from The Grinch this year. She’s been potty training recently and made a killer break through so she’s going to get them from The Grinch. This would come with a letter explaining that it is a snowball. When I did this one, I goofed and froze the snowball too much or I didn’t give it enough time to actually melt so I actually gave my wife’s cousin an actual snowball. We’re talking like a Warhead styled candy for the kids to eat and make silly faces. My wife had already gotten one of these from me each year for Christmas. From the time we were dating to today, she gets them still. In the actual cartoon, when The Grinch slides down the toybag he says “Poo Poo to the Whos!” which is something you can use in your letter with the gift. I still laugh when he says it. Yes, I’m mentally 5 years old! 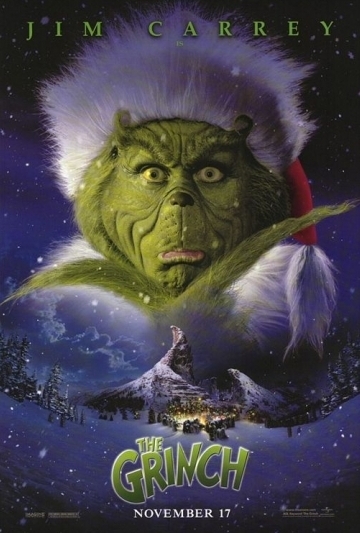 A nice gift would be to give out Grinch merchandise. There are tons of it during this season that you could use almost anything… Shirts, Hats, Shoes, Ornaments, Village Pieces, Figurines, Stationery sets, etc. They make tons of stuff to sell. Typically what we do is buy a bunch of it when it goes on clearance on New Year’s Day (That’s when all the 75% off clearances take place). So there you have it! You can start a family tradition of your own in Grinch gifts this year! If you do please share. I’m always looking for new Grinchy ideas. I’ll be sure to post how ours turned out this year. I can’t put too much details on here because I know there are family members that read this and we simply can’t spoil the Grinch gifts… what fun would that be? Until next time… if you can’t be good, then be naughty this Christmas! Welcome back for another one of my Christmas offerings. 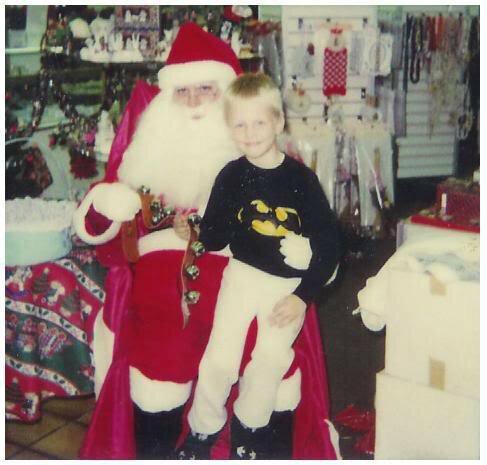 Today I want to talk about the most memorable gift I had ever received as a child. For some people, they received Puppies, BB Guns, Bicycles, or even Cars but for me it was Teenage Mutant Ninja Turtles Duelin’ Dudes! As you could tell, this is a repackaging of Rockem Sockem Robots decked out in Ninja Turtle form. How cool! Over the years, I’ve seen some pretty cool variations of this game like Terminator vs. T-1000, He-Man vs. Skeletor, Spongebob vs. Sandy (Karate Battle), and so on. This one was the coolest to a 7-year-old back in 1991. I remember how it played out for me that Christmas like it was yesterday. Every day after school, I’d come home to watch a line up of cartoons with one of them being Teenage Mutant Ninja Turtles. I believe my brother was more into them than I actually was, but they would play the commercial (posted above) during every break and the suspense of being able to ask for this for Christmas was building! As soon as it was time to sit down for writing a letter to Santa, I wrote that I really wanted this for Christmas. A couple of weeks later, I got a letter back from Santa saying how Santa may not be able to bring me this gift because of some unforseen circumstance (I can’t quite remember EXACTLY why). I remember feeling sad about it, but my world wasn’t over. I think I still held out hope that Santa would be bringing this for me. He would find a way to get it for me! On Christmas morning, there were tons of gifts around the tree (as always) and we begin to dig in. One by one, I opened many great gifts and after unwrapping all of the gifts, I did not receive Duelin’ Dudes. I don’t think I was destroyed over this, but my Dad ended up staging a scene where he made quite a bit of commotion in my their bedroom for me to come in there and he was pulling a black garbage bag in from outside the window… Santa had left a gift outside. Sure enough, it was my Duelin’ Dudes! I was so excited and so happy! Some of the details may be a little exaggerated, but this is what I remember from about 20 years ago. Best… Christmas… Ever! Sadly over time, the fun of Duelin’ Dudes came to an end. You need 2 people to play this game and my brothers or my parents weren’t as excited to own this as I was. They all had their own new toys, games, and gadgets to play with as well. Then, one of the arm mechanisms stopped working and eventually was trashed all together. I’d love to own one of these again just for display and an occasional round of fights when my wife insists on playing a game that only she can win. Flash forward 20 years and I now have a little one of my own. She is only 3 this year, but I can tell the suspense for Santa’s arrival this Saturday night is reaching its max capacity. She’s still too little to know quite exactly that she wants a certain item for Christmas, but there some things she likes. She asked Santa this year for a Rapunzel (from the movie Tangled) doll and has mentioned to Mommy and I that she wants the Batcave (The new light up imaginext Batcave that lights up). This kid is not too picky at all when it comes to toys. She loves Rapunzel, My Little Pony, Strawberry Shortcake, Puppies, Batman, Cars, Rudolph, Clifford, Thor, Toy Story and the list goes on and on and on with this kid. 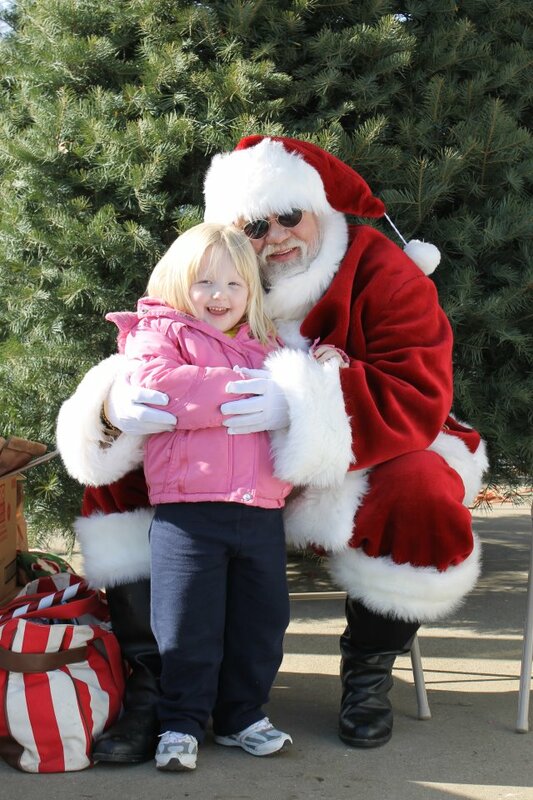 So at this point in our Christmas excursions, we have yet to have a Christmas Season where she asks for one item and one item that she puts all of her hope into for the season. Things are much easier these days than it was back when I was tiny. You can buy almost anything online these days. Can’t find Furby or Tickle Me Elmo? BAM! ebay for 5 to 10 bucks more than you would pay in store. Lalaloopsy dolls are popular this year… can’t find the one your kid wants? BAM! ebay for 10 bucks and it’ll be here in 3 days! Things weren’t as easy to come by as they are today. There were no websites for black friday ads, no cyber-monday sales, and definitely no ebay! Things were great for me growing up. I don’t ever remember being disappointed on Christmas day! Life was and still is pretty freaking awesome! In closing, I am truly grateful that my Christmases were full of love and fun. I understand very well that I am very lucky to have had the privilege of having great Holidays that some kids never had the chance to have. I would love to hear your holiday memories… both good and bad. Please be sure to subscribe and leave a comment! Extraordinary Merry Christmas part 2: My Most Wanted List! Thank you for coming back to The Chatterbox Blog! It’s nice to be writing again. This season has been ridiculously busy! Add in a case of strep throat and you’re booked solid! Growing up, A Christmas Story has always been a staple in our Christmas celebrations so naturally, the “Major Award” is as much of an icon to me as a stocking or a wreath. 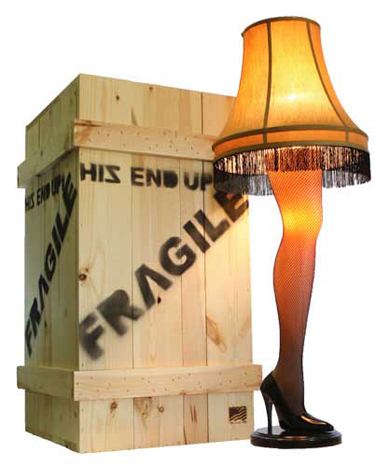 A little under 10 years ago, a company started reproducing the leg lamps and marketing them for Christmas to coincide the opening of A Christmas Story House and Museum. If you’re interested, check out achristmasstoryhouse.com for the info. It’s located in Cleveland, Ohio and is the house where the majority of the outside scenes were shot (biggest part of the movie was shot on a soundstage in Canada). I’ll be posting this week on my many visits to A Christmas Story House. The deluxe versions of these come with their own Fragggeeelay crate (HIS END UP, of course) for storing if you decide not to leave it up all year round. Just because it is number 5 on my list, doesn’t mean it’s not important… they are just more common to come by than the other items. I’ve seen some pretty good customized ones online, but I don’t believe this was ever mass-produced. 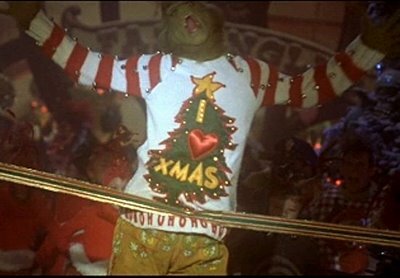 If anybody really knows me, then you should know that I have an odd fascination with ugly Christmas sweaters. I can’t explain why, but I think it adds to the joy of the season when you wear something as silly as this. I may attempt to recreate my own in the off-season, but this is definitely on my radar. It’s ugly, yet stylish (if that makes any sense). I don’t care so much if it lights up (it’ll be harder to wash that way), but everything else I want. If by chance one of my readers would be able to recreate one of these for me, I’ll be forever grateful! Yeah, White Christmas is what Clark is referring to during one of his many tantrums. 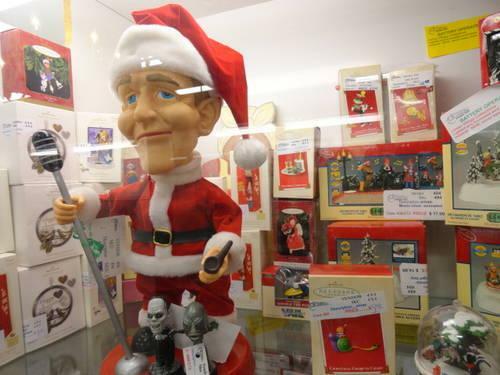 Over the years, I’ve always loved Bing Crosby’s Christmas albums. 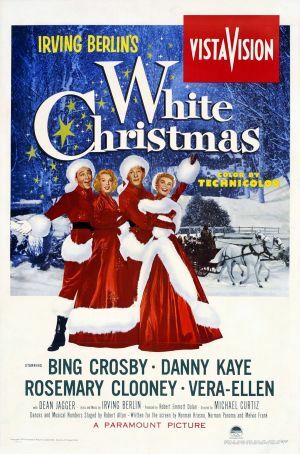 Growing up, I remember hearing White Christmas on the radio almost everyday from Thanksgiving to Christmas. I happened to catch it on one of the old movie channels (they usually play alot of Elvis’ movies) and have been watching it yearly ever since! This is probably the cheapest item on my list. I’ve seen it on ebay where people are asking $20 to $40 for. It’s not really a bad price, but you never know how the thing works. Some of the arms wear out and stop working… an easy fix, but not something you want to pay $40 for when you can possibly find these at an auction or flea market. I’m patiently waiting for this one. 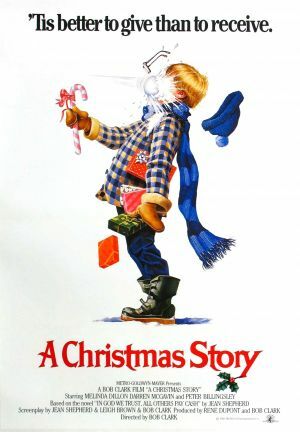 This has become one of my favorite Christmas movies over the years for a number of reasons. The first reason is Arnold’s broken english. It’s hard to imagine him as a family man in this and then when he tells Phil Hartman’s character to “POOOT DAT COOOKIE DOWWN… NOW!” it definitely gives off a sense of Kindergarten Cop “It’s nod a tooma!” The second reason is Phil Hartman! He was such a funny guy and he didn’t have to do a whole lot to be funny. It makes me very sad that he’s no longer with us. Lastly, the madness of it all. I’m a black friday faithful who braves the crowds and knows how chaotic it can be, so I have an appreciation for the amplified version of the crowds are in the shopping scenes. Sinbad’s character pepper sprayed somebody… DID ANYBODY HEAR IN THE NEWS WHAT HAPPENED THIS YEAR? It blows my mind! 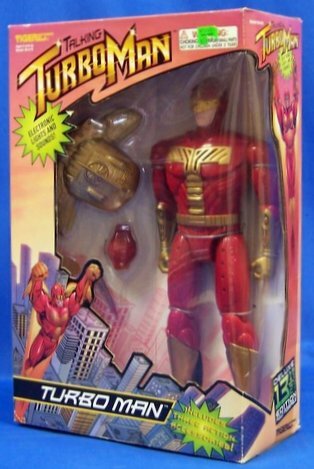 I just happened to have some time on my hands and did a search to see if I could find one of the actual movie props from this movie and I found out that Tiger actually manufactured these in 1996. People are trying to squeeze a couple hundred bucks out of these and they’re not going to get it from me. Someday I will own one and will have to go on the search for Booster and Dementor. 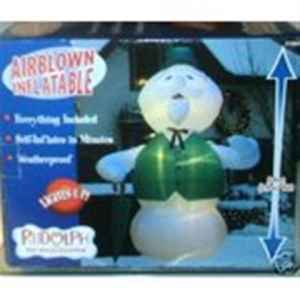 This little gem came out I believe as one of the original or 2nd year inflatables before the fad really caught on and every generic company started producing them. These were $49.99 when they originally came out and were only available once! At the time, I didn’t have my own home and really nowhere to put it, so I passed. They never released it again. 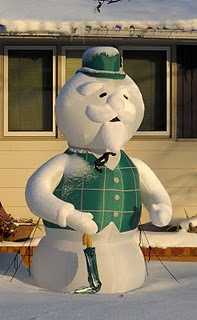 I don’t know if it’s an issue with Burl Ives’ estate or what, but there hasn’t been one since. To me, this is the absolute best representation of a specific character (besides maybe Mickey and Spongebob) that has been made. The Bumble has gigantic Bumble Boobies, Rudolph has thunder thighs, and The Grinch is the new cartoon styling which is terrible! I’m impressed with the detail on this one. It comes complete with raised eyebrows and facial hair. Each year that I don’t own this, it makes me sad. Maybe next year, I will bite the bullet and purchase through ebay ($200-$300). 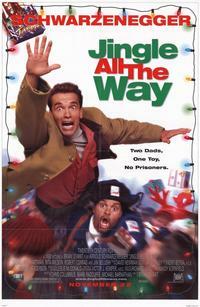 Even if they do re-release Sam The Snowman, it will not be the same as the original one… mark my words. I remember my parents buying this cassette at a Kmart back when I was very little. I don’t even think I was in school yet, that’s how little I was. 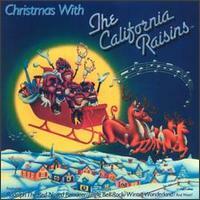 My brothers and I listened to this non-stop long past Christmas. I’m not sure what happened to the cassette, but the last time I remember seeing it, it looked thoroughly used. I found the CD once in stores and bought it! However my oldest brother was the only one with a CD player at the time, so it was either given to him as a gift or was picked up for him and I was paid back for it. Regardless, I don’t own the actual album. I believe the CD is now out of print. I have a copy of it, but would still purchase the album in a heartbeat (buy your Music, kids!). I also think it would be cool to own the vinyl album of this. 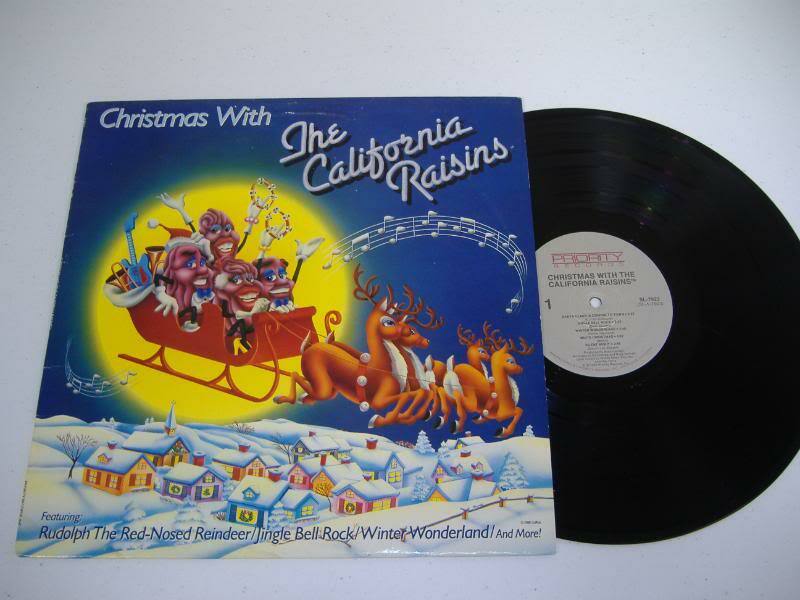 I think if I were to ever obtain this, I would purchase other Christmas albums and frame them to display at Christmas… albums like Elvis Christmas, Bing Crosby White Christmas, etc. that would look pretty slick on display like that. So there you have it! These are the items I would love to have and am still on the hunt for. If you know of anybody that has these and would be willing to part ways with them, I would be forever grateful! Coming up in 2012, I will be continuing with The Chatterbox Blog, but I will be doing an all new blog featuring Toys and Merchandise from Yesterday, Today, and Tomrrow! Be on the lookout and if you have any items you want me to cover, please feel free to contact me through twitter @Chatterbox4REAL or you can e-mail me at brad.mcquillen@yahoo.com! This has been an incredibly long blog, but fun. Enjoy! 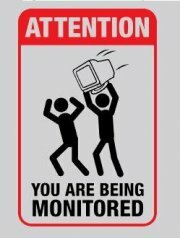 Looking for something I’ve tagged? Hit me up on Xbox Live!